Valve was quiet about VR at GDC but the company surprised everyone on Friday by launching a new site teasing a new virtual reality headset. Called Valve Index, this device from the makers of Steam could be a solid challenger to Oculus and HTC thanks to the massive number of players on Valve's gaming platform. There's not an awful lot of details to go on except for the teaser image. It looks to be less front-heavy than the HTC Vive and carries onboard cameras and also little spots to work with external Lighthouse sensors. This could mean that the Index would have both inside-out tracking or more accurate tracking with external sensors as options. There's also an adjustment slider for IPD (inter-pupil distance) to suit the distance between the users eyes, something which the Oculus Rift S was called out for omitting. While nothing is confirmed, I'd bet that the Valve Index would be a PC-tethered headset geared towards the high end. 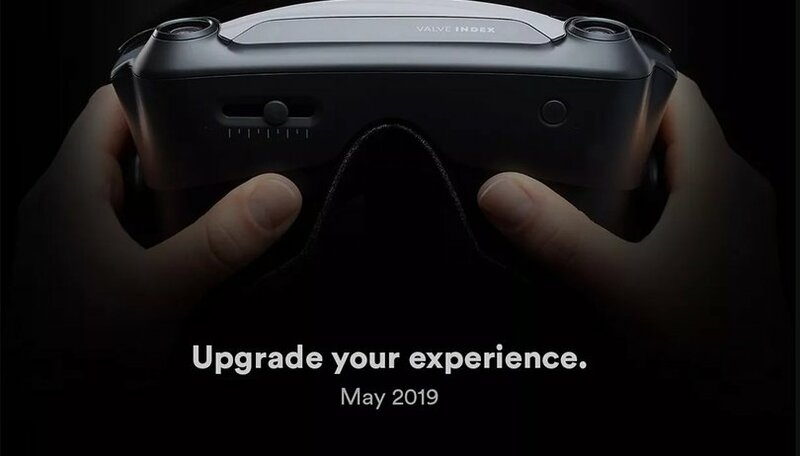 It does say 'upgrade' on the site, after all, and SteamVR is already the go-to market and platform for PC-connected VR gamers regardless of hardware. No indication has been made about whether or not the SteamVR Knuckle controllers will be a part of Index, or even if the rumored Half-Life VR game could be. But it would certainly be an attractive package that would make gamers stand up and take note. Despite our initial misgivings about Valve's typically slow going, it seems like the Steam creators are stepping up with something really intriguing. We should know more in May, though the date could refer more to an announcement event rather than an actual launch. Are you excited to see a VR headset from Valve? What do you expect from it?